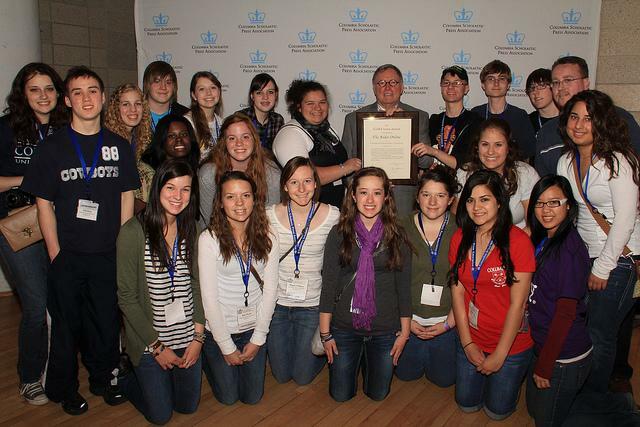 We are pleased to announce that The Rider Online of Legacy High School in Mansfield, Texas and The Patriot of John Carroll School in Bel Air, Maryland were named Gold Crown winners, and Tiger Times Online of Texas High School, in Texarkana, Texas a Silver Crown winner by the Columbia Scholastic Press Association. Congratulations to the advisers and student journalists of these excellent online publications. The staff from The Rider Online receive their Gold Crown Award.